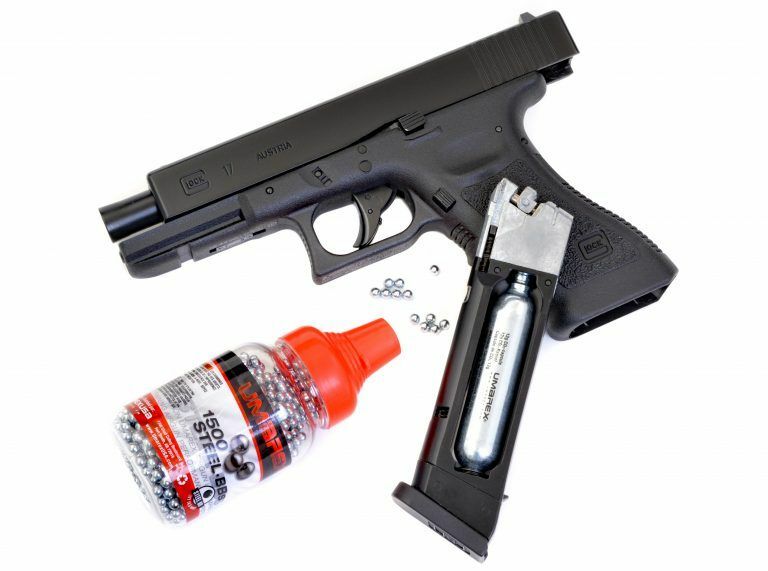 Post subject: NEW Glock Gen 3 G17 Blow-back Co2 pistol! Post subject: Re: NEW Glock Gen 3 G17 Blow-back Co2 pistol! Looks like a similar internal/magazine system as used in the Umarex Makarov Ultra blowback (with a hidden internal hammer, perhaps like the Umarex S&W M&P 40?). Thanks for this! And i just bought the G19 a few weeks back - one of my favorite guns so far....even though the grip feels a bit small, the accuracy is great. And I can get around 128 shots on a CO2. Now I have to get the G17...looks awesome! I like the clean lines of the pistol - very modern looking. Hope it shoots as well as the G19 that i have. Forgot to add: the full magazine footprint is a huge bonus! Just for that I"m sold. Giggity!! I cant wait for these to be available north of the border. I remember when the Glock was first introduced in the early 80s. People thought a polymer gun would never hold up.......after passing NATO durability testing in the mid 80s they opened shop in the USA. You could get them in a wide variety of caliber and size. No release date I don't think. Unless someone knows when, please do post. Thanks for this update! I need this replica now.........looks promising of a gun. I never follow the timeline of guns and availability, but hoping it gets released and up here in time. It's a pity I've just bought the G19. I noticed that Umarex (not USA) sight already have available the G17 and even a G22 - I guess such guns are not yet available yet in the US.